So occasionally, I get to, you know, blow the old pubic relations horn for stuff I’ve written, that you know, actually gets published, wherein, I actually, you know, get paid for said writing. WELL TODAY IS ONE OF THOSE DAYS. And even though my children tell me this is a short story where I was much too mean to my main character…no, no, I won’t give away the ending, but let’s just say, it’s a careful what you wish for story,–I am pleased to announce…The Path of Athena, in the January issue of Beyond Centauri, now available from Sam’s Dot Publishing on the White Cat Publications website. 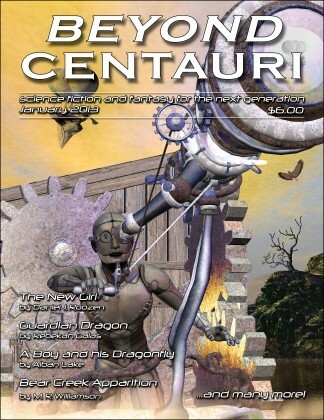 Beyond Centauri is a magazine of science fiction, fantasy, and ewww-gross (their description, not mine :)) for readers ages 10+, issued quarterly. Go here to get a copy in Print or PDF. Or here to get a copy in Print.